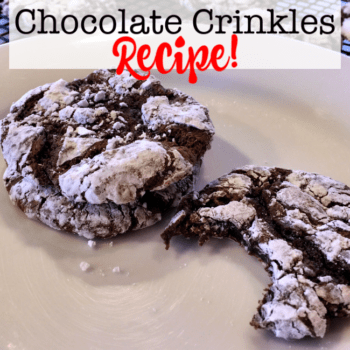 This chocolate crinkles recipe is super easy- only 4 ingredients! And it makes the softest, chewiest, and most delicious chocolate cookie you'll ever eat! A perfect holiday treat! Holiday cookies seem to center around the butter cookie/sugar cookie variety- with some molasses/gingerbread kinds thrown in for good measure. But where is all of the chocolate? I mean- chocolate chip cookies are a little too “every-day” for the holidays, don't you think? 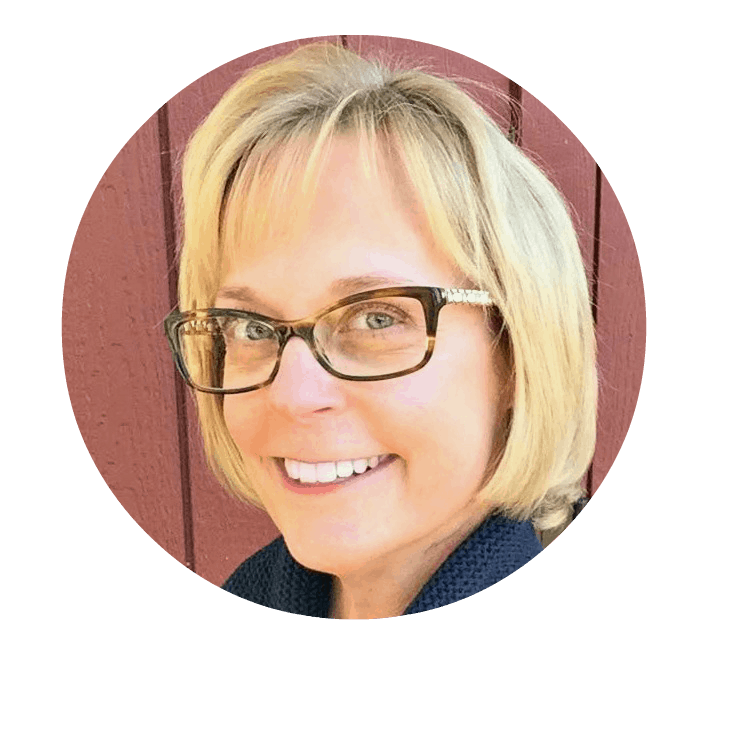 (Ha- my kids wish that they had chocolate chip cookies every day!). 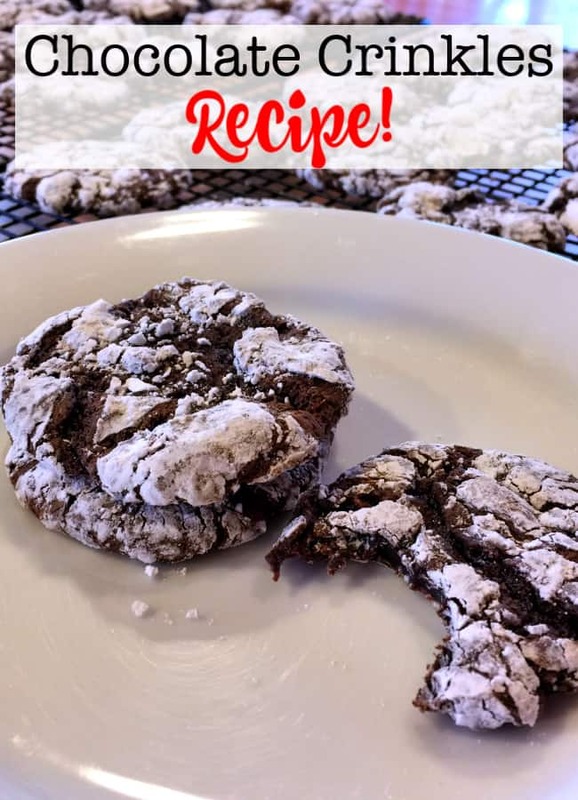 Which is why I love to make these Chocolate Crinkles cookies during the holidays! The dough for these cookies is crazy-sticky… even when chilled. So the best way to handle it is to drop rounded teaspoonfuls of dough into a pie dish filled with powdered sugar. And then once it's nice and coated in powdered sugar, then use your hands to shape it into a plump round ball. And be sure not to over bake these cookies- you want them to be set, but to hold onto their chewy goodness! I've made this same recipe with different types of cake mix- including lemon and red velvet- and they are all equally delicious. But at the holidays, it's the chocolate cookie that I crave! 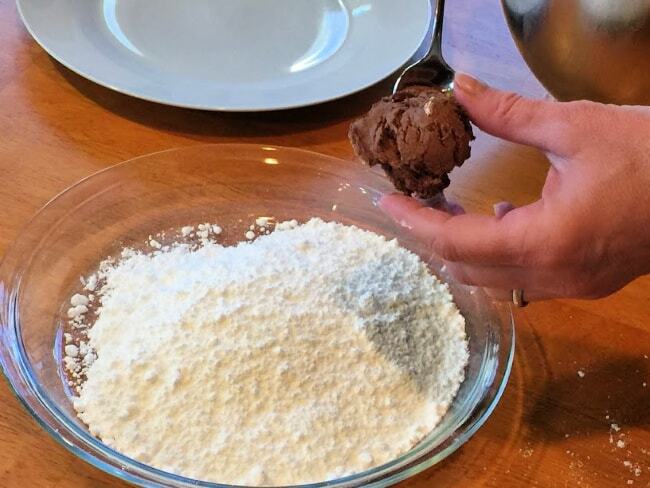 Mix together the Cool Whip, egg, and cake mix using your electric mixer. Note that the dough will be super-sticky! 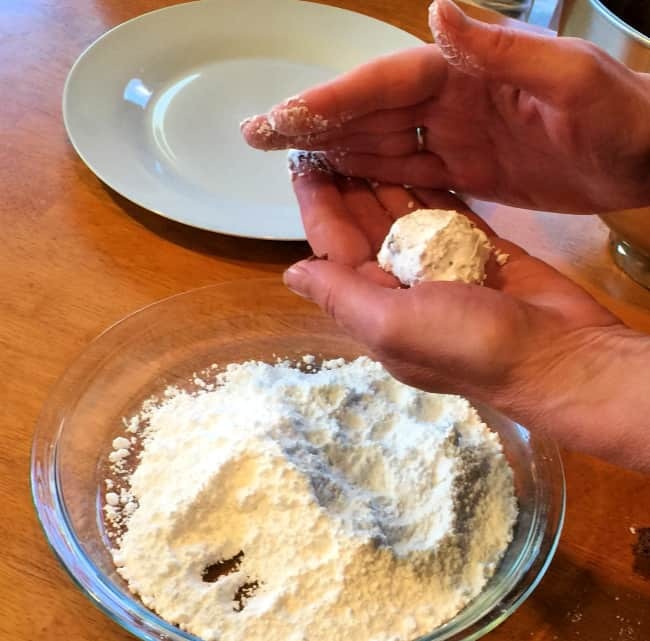 Drop rounded spoonfuls of the dough into a pie dish of powdered sugar. Roll the dough around until coated, and then use your hands to form a perfect plump ball. 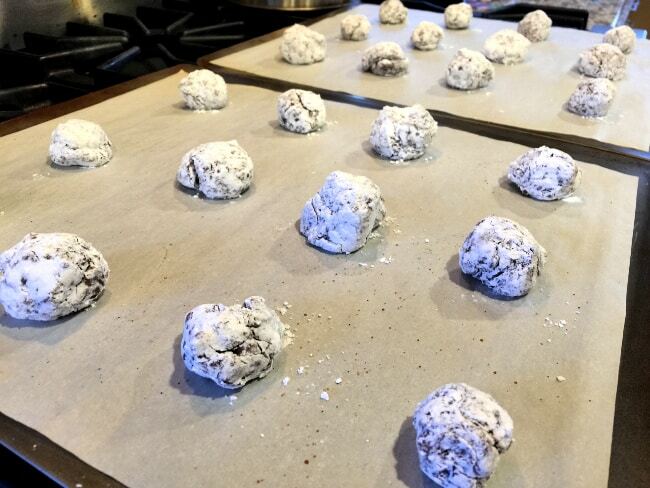 Bake on a parchment-lined cookie sheet for 8-10 minutes at 350°. I cannot wait to make these totally delicious looking cookies!!! !